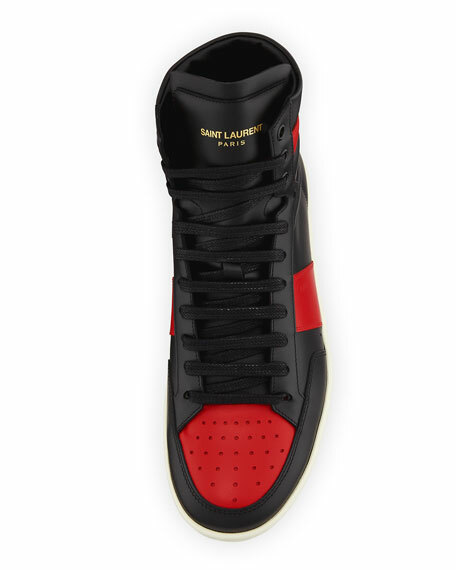 Saint Laurent classic court sneaker in colorblock calfskin leather. Padded collar with logo at back. "SL/10H" is made in Italy. Fit note: SL/10 runs large. Please order one size smaller than you typically wear. 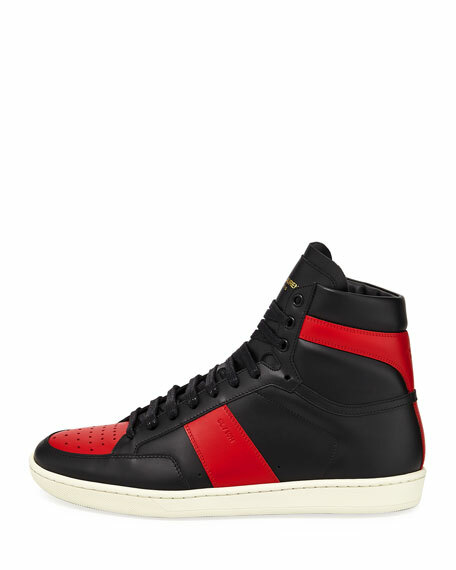 For in-store inquiries, use sku #2247860.